Margaret “Jean” Persiani, age 76 of Leonardtown, Maryland (formerly of Temple Hills, Maryland, died July 3, 2018 at St. Mary’s Med Star Hospital in Leonardtown, Maryland. 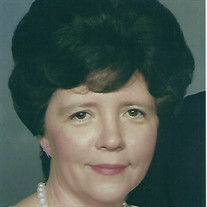 Jean was the owner/operator of Persiani Cleaning Company for 35 plus years and was a member of Providence United Methodist Church in Fort Washington, Maryland. She loved shopping, talking on her cell phone, keeping in touch with all. She was a friend to everyone and loved her dogs, Friskie, Holly, Blackie, Missy, and Sadie. She was the daughter of James G. Zimmerman and Margaret Estelle Wynn Zimmerman. She is survived by her husband of 53 years, Clyde V. Persiani; her son, James R. Persiani (Melissa); her grandchildren, Jennifer, Crystal, Rebecca, Sharon, Brian, and Melinda; and her great-grandchildren, Maddie, Aron, Alyssa, Bella, and Aiden. Friends received on Tuesday, July 10, 2018 from 9:30AM until time of Funeral Service at 11AM at Raymond Funeral Service Chapel, 5635 Washington Avenue, La Plata, Maryland 20646. Interment to follow at Cedar Hill Cemetery in Suitland, Maryland. Memorials in Jean’s name are asked to the Leonardtown Volunteer Rescue Squad, 22855 Lawrence Avenue, Leonardtown, Maryland 20650. This entry was posted on July 8, 2018 at 10:45 am and is filed under All News, Obituaries, z Obituary Ad Top. You can follow any responses to this entry through the RSS 2.0 feed.